It's no secret that we're fans of the Instant Pot—we've spent countless hours poring over Instant Pot recipes, scouring Pinterest's top dishes made specifically for the slow-cooker-pressure-cooker hybrid, and marveling at the modern miracle that is Instant Pot red wine. The $100 device has single-handedly streamlined weeknight dinners for families across America, and for that, we are eternally grateful. So when we read that a brand-new Instant Pot was hitting stores this spring, our ears perked up. As The Kitchn reports, the Instant Pot Max will be available in May or June of 2018 and will only be available in the six-quart size to start. It will reportedly retail for around $200, though the company reps couldn't confirm this price point just yet. 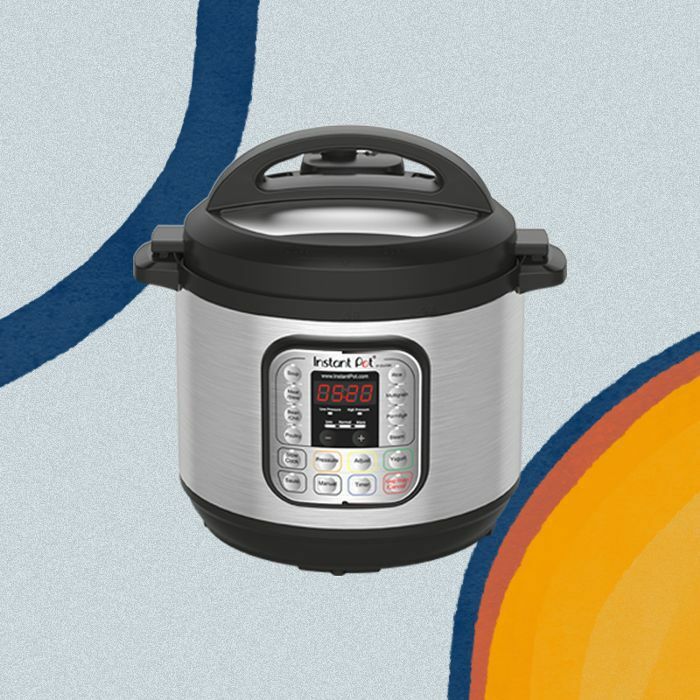 The main thing that sets the Instant Pot Max apart from its contemporaries is its eight-in-one functionality; the Max has eight different settings, including pressure cook, sauté, rice, steam, slow cook, yogurt, bone broth, and the new feature, canning. "This version (like stovetop pressure cookers) can easily go up to 15 PSI (pounds per square inch, the English unit of measurement for pressure)," they explain. "Other electric pressure cookers and previous versions of the Instant Pot usually max out around 11.6 PSI." The new model will also feature an automatic stirrer for when you're making bone broth or a risotto, in addition to new safety features for automatic slow venting, a pulse of quick venting, or a quick-release option. Most impressive is the ease of use; the Max will feature an easy-to-read touch screen. Head over to The Kitchn for more.